KJN Wil Widmeyer was born and raised in Indiana in the United States. He began training in the martial arts when he was sixteen after defending himself against an armed assailant. Will developed a passion for the martial arts and after training at the local gym, he began looking for an instructor. Wil eventually found a school where classes were taught by Grandmaster Inn Suk Pak. GM Pak tested Wil for first dan in Tae Kwon Do and told him to return that summer for further training. Wil sped through the curriculum. Competing for many years in Olympic-level figure skating left him with exceptional body awareness and a strong work ethic. Impressed with Wil’s ability to learn, GM Pak began train him privately, often eight to ten hours a day. GM Pak augmenting this with other instructors and reinforced what Wil learned through full-contact fighting. After Grandmaster Inn Suk Pak Pak’s funeral, Wil returned home and opened his first martial arts school. Wil continued to train diligently and started teaching defensive tactics. This led him to train various units of the United States Military and Federal Agencies in order to improve their effective at home and abroad. KJN Widmeyer competed in many full-contact MMA related tournaments, winning a World Championship event in New York City in 1997. Over the following years Wil competed in many international open style MMA championships and retired in 2000. Since then, KJN Widmeyer has spent his time reorganizing Grandmaster Pak’s final instructional material and principles into his own system. 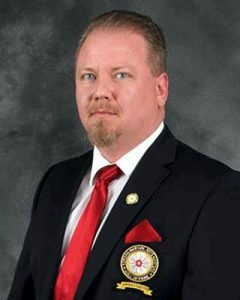 Among Wil Widmeyer’s many awards are induction into two Black Belt Halls of Fame and he has received numerous letter of commendation from the United State Military. In 2015 KJN Widmeyer was re-certified by GM Rudy Timmerman, as 8th Dan in Kong Shin Bop. Additionally, in 2015, he was named as an official Ambassador to the Korean Martial Arts Masters Hall of Fame. In 2017 Grand Master Rudy Timmerman retired and GM Widmeyer took over as owner of the KMAM Hall of Fame. KJN Wil Widmeyer holds collegiate degrees from Ball State University and continues to travel extensively to teach and spread his love for the martial arts.